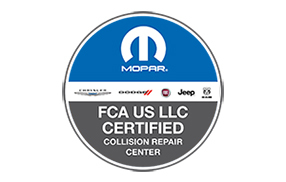 Fiat Chrysler Automobiles Certified Collision Care Program is another certification that Unique Collision Center is excited to offer our customers! The technology on each vehicle is constantly changing and improving which is why we feel it is important to keep up with our training. Our customer’s safety comes first which is why we are I-CAR trained and FCA certified to repair all models of Dodge, Jeep, Ram, Chrysler, Fiat, Mopar and SRT vehicles. We also recommend the use of 100% genuine parts for your vehicle. These parts are engineered specifically for your vehicle and we will help encourage the insurance company to cover them. Unique Collision Center also offers a clean and professional waiting area and friendly customer service staff ready to assist you! Call Unique Collision Center in Gulfport at 228-863-5944 to tell us about your repair needs! Unique Collision Center is proud to serve the following cities: Gulfport, Biloxi, Waveland, St. Louis, Ocean Springs Bay, Long Beach, Diamondhead,D’lberville and Harrison County.